participation of 25 members.Main aim of this field trip was to study the diverse fauna and flora in the area and gain some knowledge from it. As we arrived at Kithulagala around 9.30 am in the morning we were welcomed by a rain which delayed our hike to the forest by about 30 minutes. 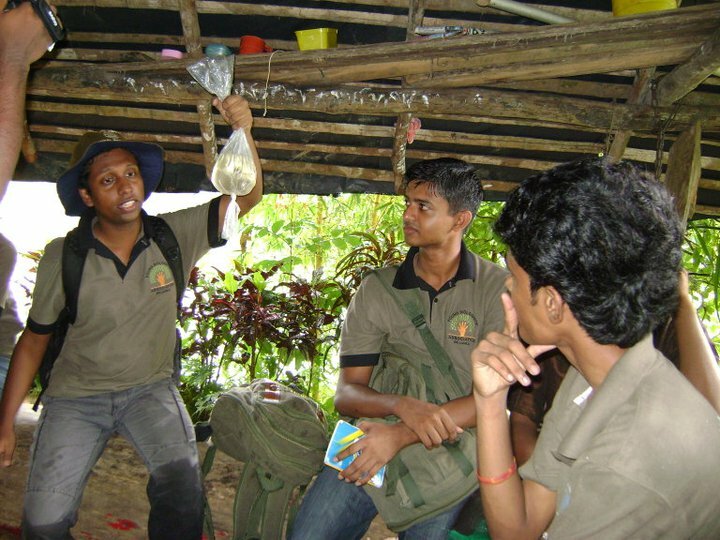 After crossing the Kelani river we spent that time under a shelter and studying and sharing knowledge on some fauna we could observe in the surrounding. When the rain ceased we started our hike observing many natural aspects we came across. Before we entered the forest we encountered a domestic mixed species bird flock, a flock of endemic Sri Lanka Orange-billed Babbler (Turdoides rufescens), many Green garden lizards (Calotes calotes) and an injured Mouse deer fawn which was kept in a cage and looked after by a local family. On the same home garden we could spot the uncommon butterfly the Nawab (Polyura athamas) flying around the garden. After we entered the forest we could observe many animal species including Sri Lanka Junglefowl (Gallus lafayetti) Sri Lanka Kangaroo Lizard (Otocryptis wiegmanni), Kirtisinghe's frog (Fejervarya kirtisinghei), Sri Lanka Rock frog (Nannophrys ceylonensis), Oriental Dwarf Kingfisher (Ceyx erithaca) and the very rare Damselfly Dark Forestdamsel (Platystica apicalis). While studying the Ichthyofauna in the fresh water streams we could find many common species such as Puntius nigrofasciatus, Belontia signata, Devario malabaricus and Schistura notostigma. 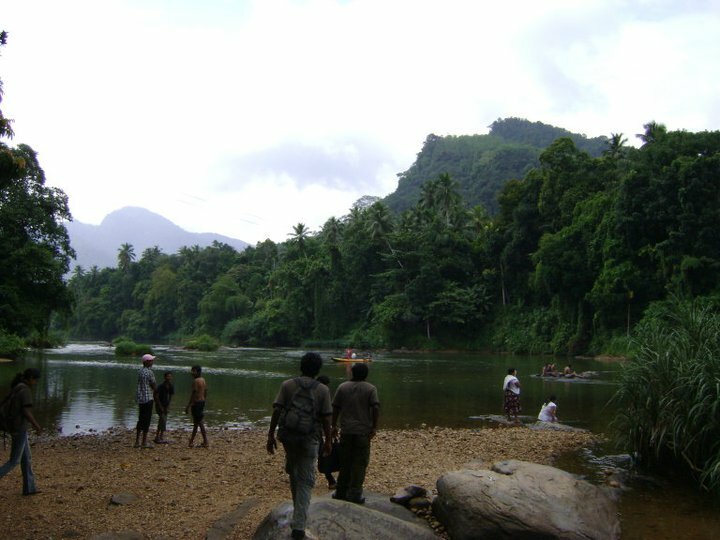 We came out from the forest in the evening and spent some time enjoying the cool water in the Kelani river and observing the fresh water fishes there. 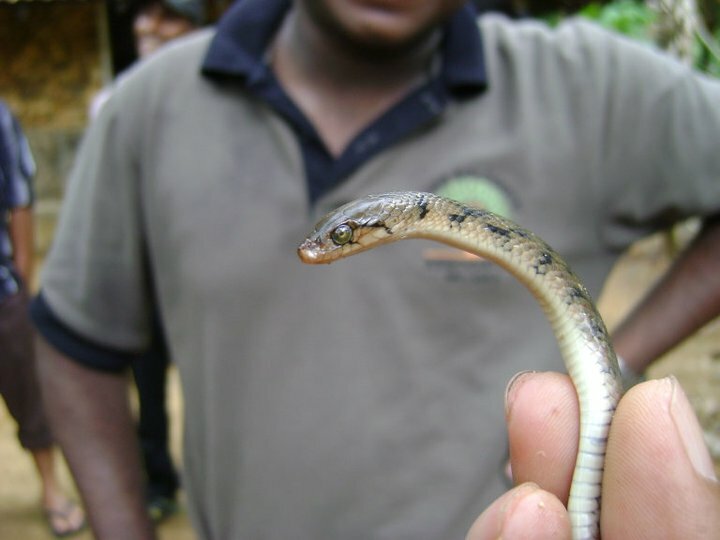 We could observe sevaral species including the Critically endangered (Red list 2007) Puntius asoka and Endangered (Red list 2007) Schismatogobius deraniyagalai. 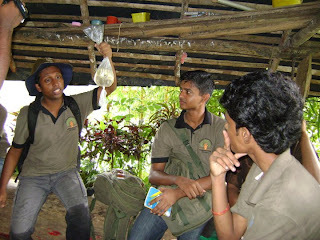 After having all these fun and obtaining knowledge on many interesting natural aspects we had some tea and left Kithulagala at about 5.00 pm. 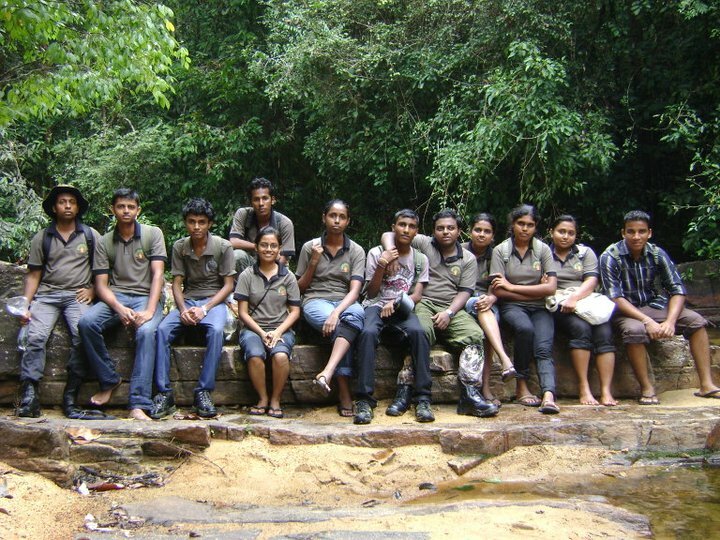 Our journey back home was fine and we reached our homes with a lot of fun memories and knowledge on our natural heritages.